Before its delay, we'd be right on the eve of Dead or Alive 6's release. 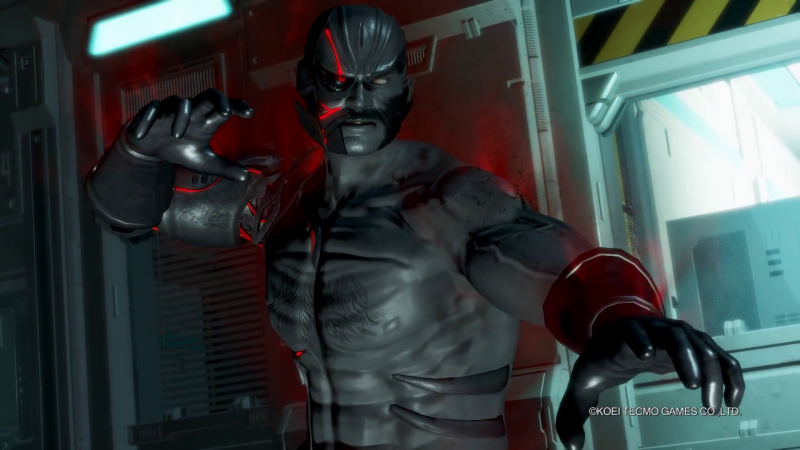 We'll be seeing it just two weeks later, but the developers have one last reveal before the game comes out in the form of Raidou, Dead or Alive's longtime cybernetic villain. You can check out his reveal trailer below. Much like previous games, Raidou's fighting style is a brutal mix of incredibly hard hits, slams, and dark energy attacks signature to him. He also just slaps you around for fun. Raidou has a villainous backstory that has been less emphasized in Dead or Alive's storyline over the years, but suffice it to say, everyone really wants to kill him and it's not taken despite how many times they've succeeded in doing it. It will be interesting to see whether he is incorporated into the game's story at all. Dead or Alive 6 releases on PlayStation 4, Xbox One, and PC on March 1.